In 2003, Ray was inducted into the Hall of Fame under the Player Category. 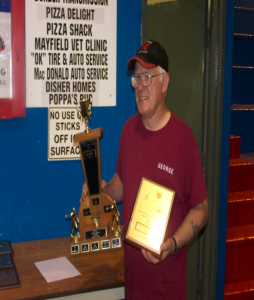 Over the past 30 years, Ray has been a dominate force in the premier division at the Provincial level and his winning streak continued at the 2007 Provincial Championship as he captured his 29thDivision A title. In 2003, George was inducted into the Hall of Fame under the Builder Category. 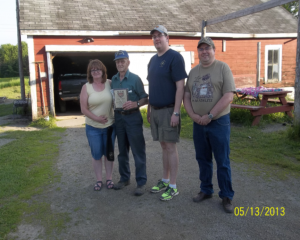 George was the president of Horseshoe NB from 1974 to 1985, 1994 and 1997. 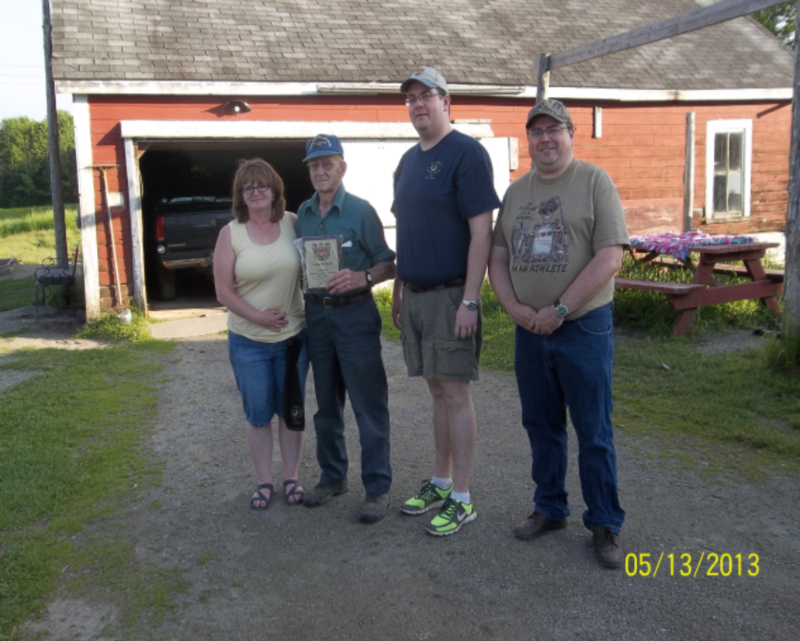 George was also the president of the Saint John Horseshoe League from 1972 to 1988. 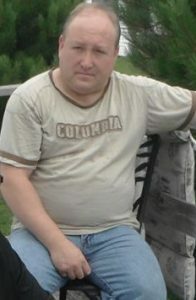 He was President of Horseshoe Canada for two terms, 1999 to 2003. 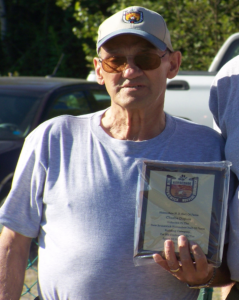 George was inducted into the Horseshoe Canada Hall of Fame in 1992. George continues to pitch, capturing the Senior A 30 Ft. Provincial Championship four times in the last five years. In 2008, Leo was inducted into the Hall of Fame under the Player Category. 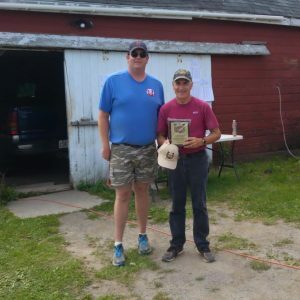 Leo has been pitching horseshoes for over 30 years and during that time he has been active at every level of horseshoes in Canada as both a participant and as an director and an executive member. 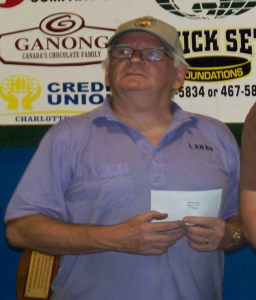 Leo has won 3 Provincial Doubles titles (1989, 1997, 2002) and 2 Provincial Singles titles (2002, 2006). He has also won 2 Maritime Doubles titles (1995, 1997) and 2 Maritime Singles titles (1990, 1997). Leo has participated in 7 Canadian National Championships. He captured a Canadian title in 1988. Leo also participated in the 1997 World Championship where he finished 7th. In 2010, Bernie was inducted into the Hall of Fame under the player category. 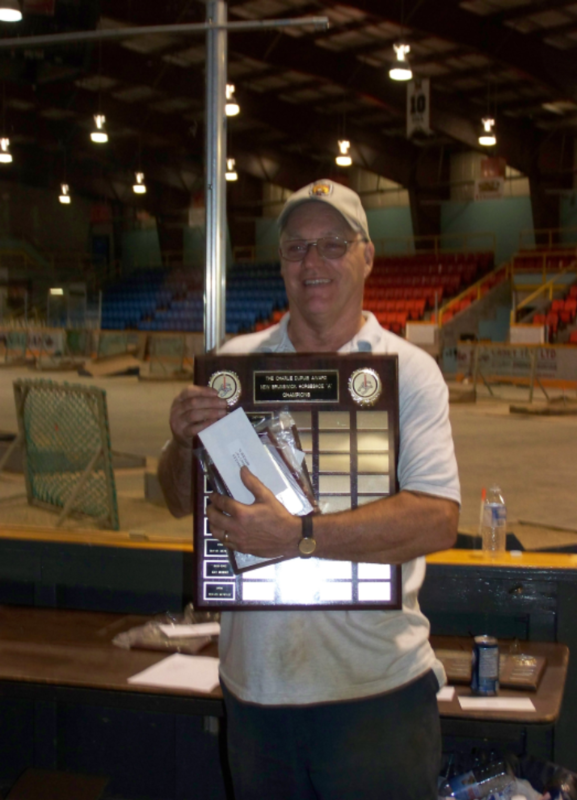 Bernie is a 11 time Men’s Double A Champion winning it several times with Travis Mowatt, Darryl Hansen and Jason Brennan. 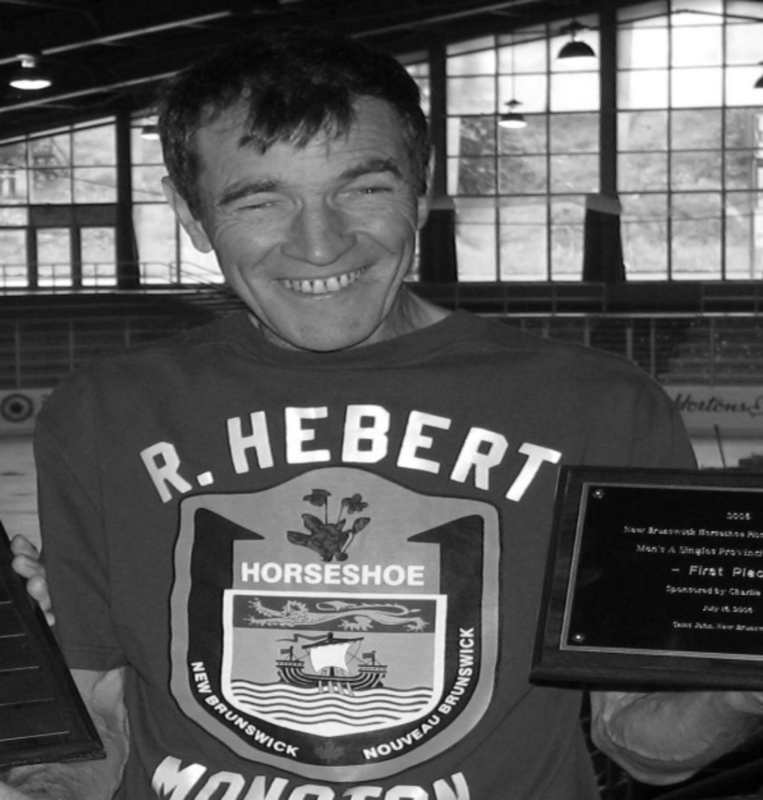 In 2009, Bernie captured his first Men’s Single A Provincial Championship in Miramichi after finishing second to Ray Hebert several times. Besides his stellar pitching over the years, Bernie has always lent a hand from building scoreboards to transporting pits. At the 2011 Provincial Championships held in St. Stephen, Larry Lynch of Saint John was inducted into the Horseshoe NB Hall of Fame. For over 10 years, Lynch was the driving force behind Horseshoe NB, holding the position of President and Newsletter Editor during that time. His dedication to the organization and the sport of horseshoes ensured the organization continued to grow and succeed. 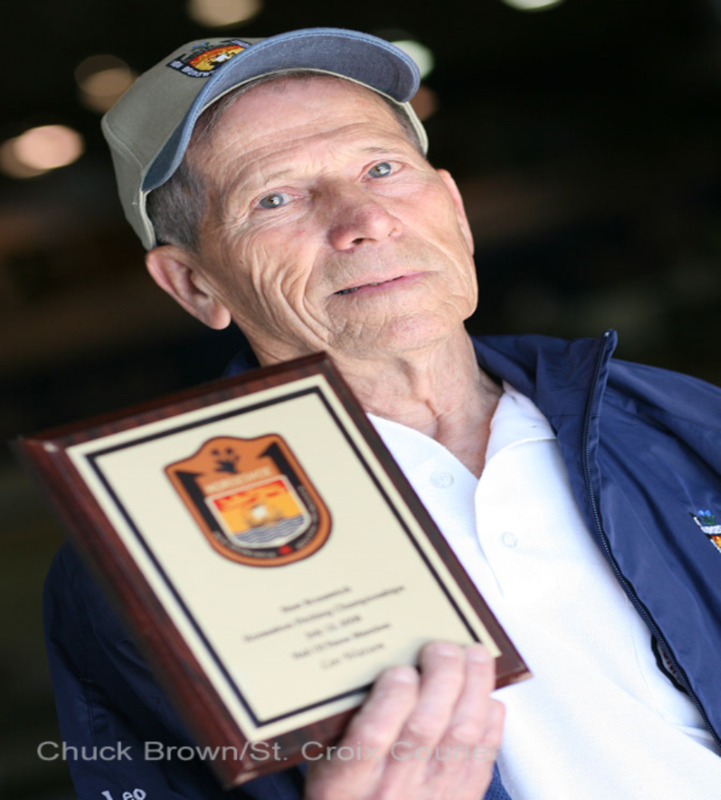 Congratulations Larry on an honour well deserved. 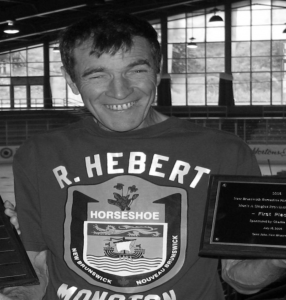 At the 2012 Provincial Championships held in St. Stephen, Charlie Dupuis of Saint John was inducted into the Horseshoe NB Hall of Fame. Charlie was instrumental in the creation of the New Brunswick Horseshoe Pitchers Association which became Horseshoe NB. 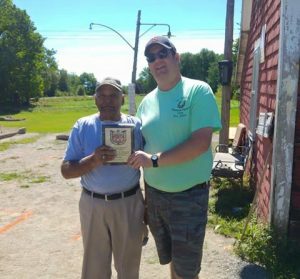 Charlie also helped create the Saint John Horseshoe League. 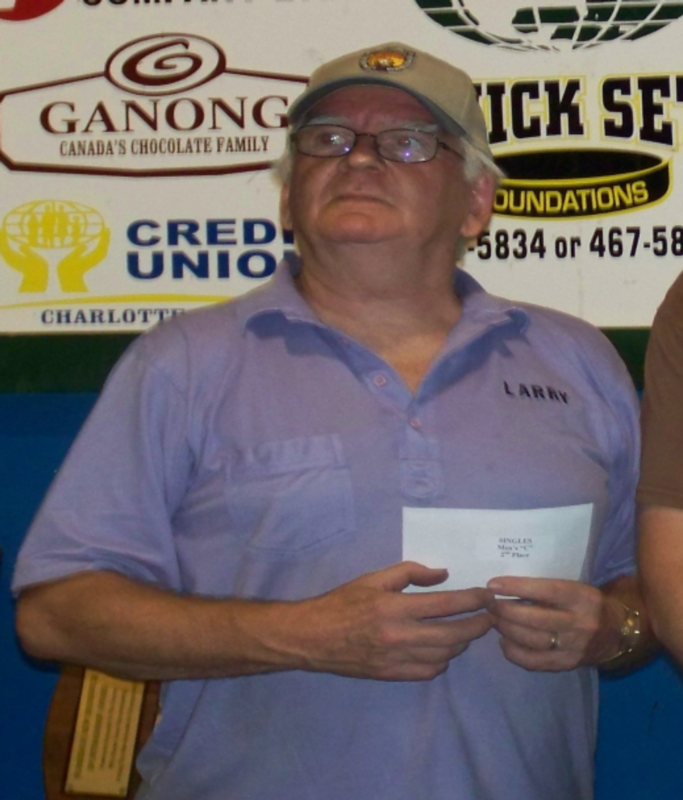 Each year, Charlie sponsors the award given to the Men�s Provincial Singles Champion.